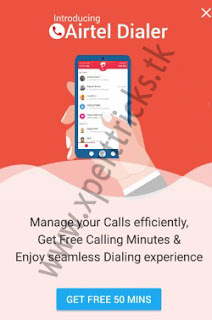 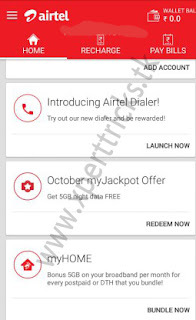 My airtel app is back with yet another amazing offer for all the airtel users,Under this offer,airtel is rewarding all its users with free 50 calling Minutes applicable for calling on all airtel local and national numbers,The 50 free minutes will get credited to your account instantly upon completing the following small set of steps,Airtel has introduced a new feature under its My airtel app,Airtel dialer,With airtel dialer airtel aims to make dialing even for convenient and easy for its users, This offer is available only for a limited time period,make your you grab it and enjoy with calling with all your airtel friends. In order to avail this offer ,users just need to update or download My AIrtel app from the Playstore,This offer is applicable for both existing and new My airtel app users,users will get 50 Free minutes instantly usable anytime Day or night ,for calling national and local airtel numbers. 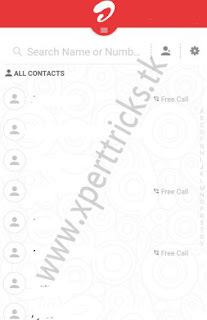 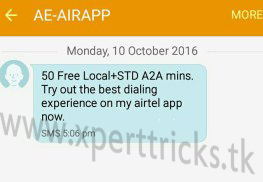 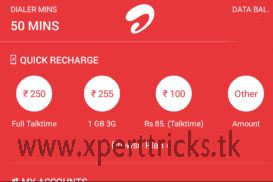 Done, Now a confirmation message with free 50 Minutes confirmation will ensure the activation on your number,You can dial any number from My airtel dialer ,the dailer will also retrieve your remaining minutes and also will show up the eligible (Airtel numbers) numbers for free calls.